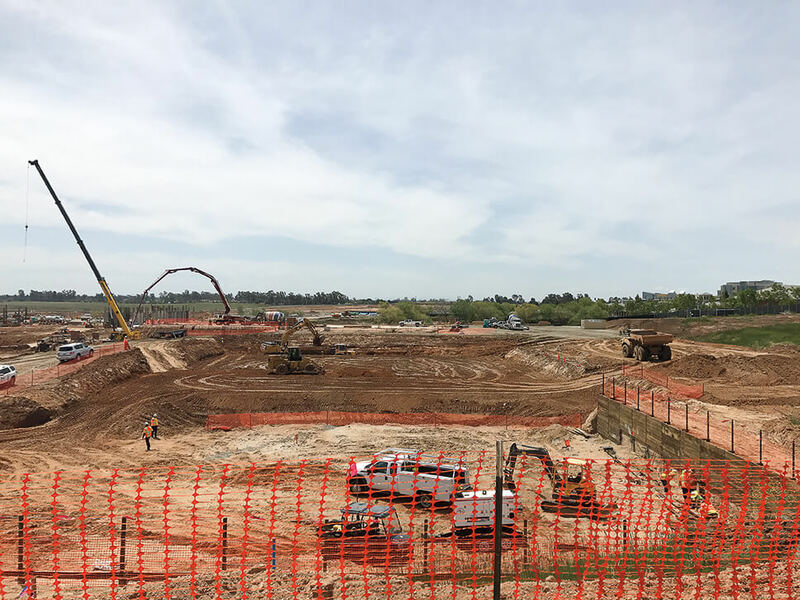 PPP Delivery a fine match for GBI's California Region — Goodfellow Bros.
UC Merced 2020 is a Public Private Partnership (PPP) project: A public entity partners with a private development team to finance, design, build and maintain the project. In the spring of 2016, Plenary Properties Merced was selected as one of three pre-qualified teams and was awarded a $1.3 billion project. The team consisted of Plenary Group (Canada) Ltd., Webcor Construction LP, and Johnson Controls, Inc., along with a group of designers and trade partners. GBI's California Region was selected as a one of four preferred trade partners to Webcor Construction LP for the site work and successfully negotiated a $41 million contract. GBI is responsible for all grading, paving, flatwork, retaining walls, bridges and fencing on the project. The project is unique because the State of California has only done a few PPP projects. There are three delivery dates tied to this project, and as with a lot of design-build projects, keeping the design ahead of construction is crucial to achieving project milestones. Additionally, with the record rainfall from this past winter, breaking ground and opening up critical areas of work was a significant challenge. GBI pushed hard through the winter and managed to meet—and in some cases, beat—the schedule. GBI has played a critical role in assisting and contributing to the design process through the PPP delivery method as well as ensuring the design is in line with the budget. The region has found great reward in working successfully with Plenary Properties Merced to deliver this one-of-a kind project to the state.